The book launch event for Tammy Rentsch was a success. Her debut title Always Pray and Don’t Give Up: Praying Scripture for Your Marriage is a wonderful edition to Juania Books. We want to thank everyone who came out and all the well wishers who supported the book launch. For all of those who would like to know more about Tammy’s book, there is video of her Q&A portion of this wonderful evening! Visit WFC video page for new and soon to come Tammy Rentsch videos. Also, please visit Tammy’s blog here at Juania Books! Help Write a Novella Begins this Weekend! Juania Books is happy to introduce our next creative writer to host the Women’s Fiction Club’s Help Write a Novella series. M.A. Kear will be writing a Sci-Fi/Fantasy entitled Bound. Now time out for a quick reminder: Even though it’s called Women’s Fiction Club, it’s not a reference to the gender of the author or reader or genre. The only rules for the WFC are that stories are fiction and the main character is female. Outside of that, WFC readers just want to know if the book is good! WFC will be joining the Turning Pages author event in April. We’re excited to be meeting and interviewing many indie authors, of all genres. In addition to attending this book signing event, we’re steadily working on book reviews, which is keeping our host Amanda very busy filming! Juania Books welcomes 2014! We are excited to have three new titles due for release this spring. Prayer:The Power of Intercession is Pam Palmers’ second release in her Prayer series. 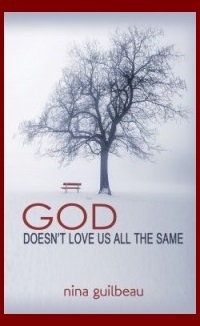 Tammy Rensch debuts her relationship book Always Pray & Don’t Give Up and Nina Guilbeau’s God Doesn’t Love Us All the Same will be her first release on the year. New author blogs, new Women Fiction Club book review videos and the start of writing a new, online, reader participation eBook and just a few ways we’re bringing in 2014. We look forward to having a great year with both our readers and authors. There’s so much more to come! The Indie BookFest2013 was a great success! Amanda, Juania Books Women’s Fiction Club video channel hostess interviewed many authors of various genres. It was great for Juania Books to be a part of such an inspirational gathers. We hope to be back next year! Help Write a Novella – How it Works! The new fiction club story is about to start! After each chapter, we will need readers to vote on the direction of the story. The result of the first Women’s Fiction Club group writing challenge became the eBook Save Angelina which is currently available for free at most retail online outlets. The title of the new novella is Bound: Part One of the Kersten Powell Chronicles. First chapter to read and vote on will be made available April 5th! Join Women’s Fiction Club on Facebook to be a part of the discussions with the author and other readers. Welcome to Juania Books! We invite you to take a look around our site to find out more about our premier authors and our future releases. We also hope you join our Women’s Fiction Club to help us write our next, reader inspired novella. At Juania Books, our WFC readers also provide reviews of some of their favorite books – no matter the genre or publisher. Here at Juania Books we love reading a good story, we love writing a good story and we love introducing independent authors to independent readers.